Thane in Mumbai is emerging as one of most popular destination in real estate sector. The greenery, Modern infrastructure, connectivity and many other factors are reason for boosting of this Place. Many developers are thus being attracted and people are investing in Thane for their living. 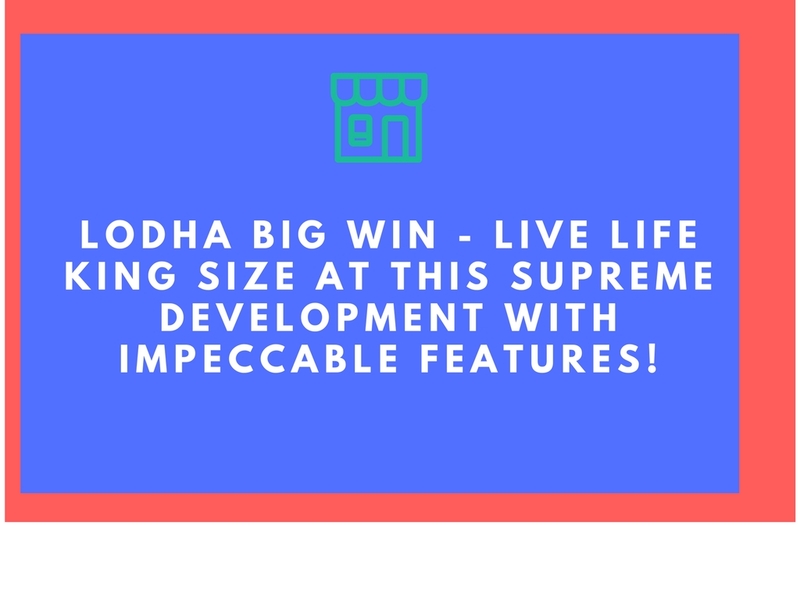 Lodha Group, one of the trusted real estate developer is coming up with the new residential launch Lodha Codename Crown Jewel at Kolshet Road, Thane. The project offers 2 BHK apartment along with various features for comfortable and luxurious living. The price of the project starts at 89.12 Lakhs and goes up to 1.13 Crs.